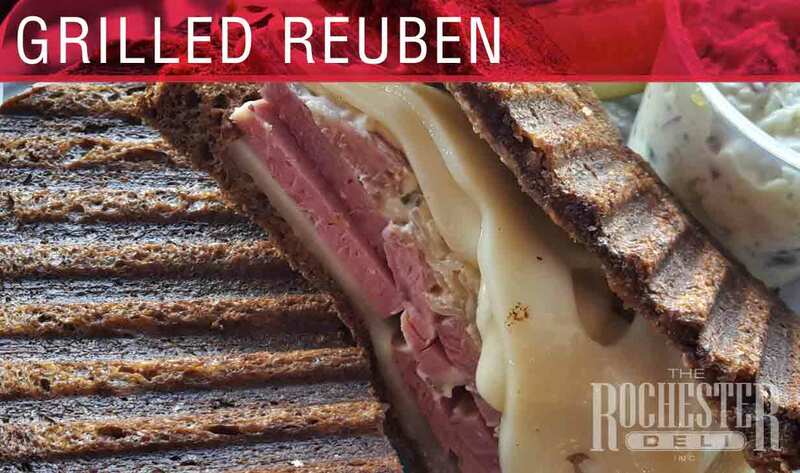 The grilled reuben is our most popular sandwich! 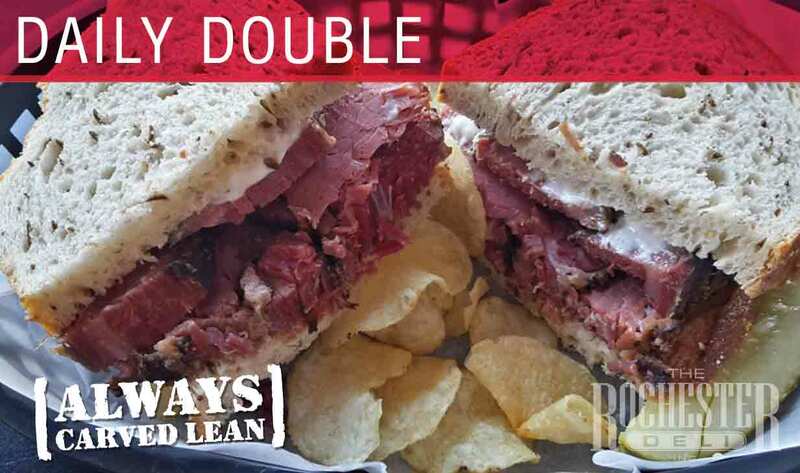 Hand carved Corned Beef topped with Swiss Cheese, Sauerkraut, Horseradish and 1000 Island Dressing on Grilled Marble Rye Bread. Grilled Rachel Reuben’s cousin! 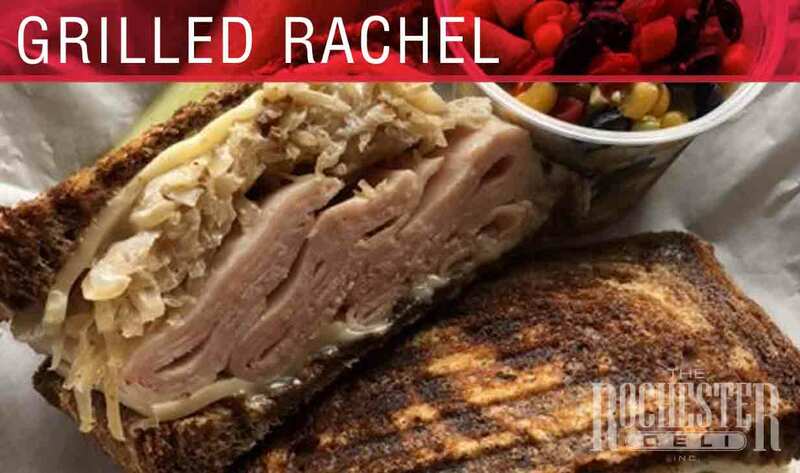 Our Reuben made with Turkey instead of Corned Beef. 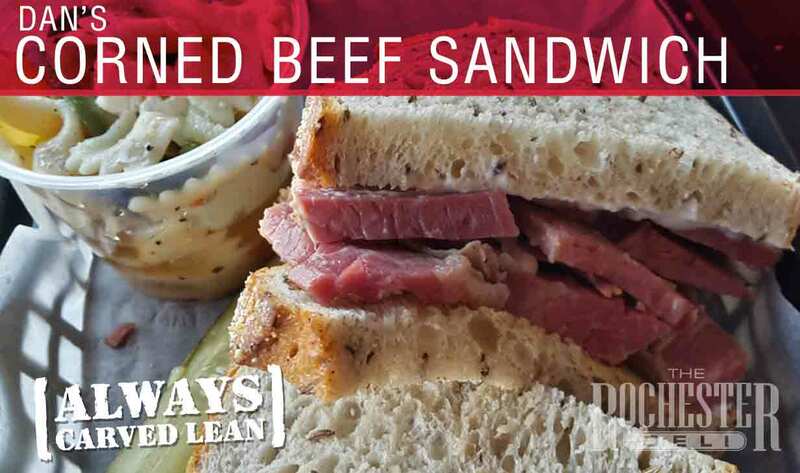 Dan’s Corned Beef Sandwich Steamed, tender lean Corned Beef, carved to order! 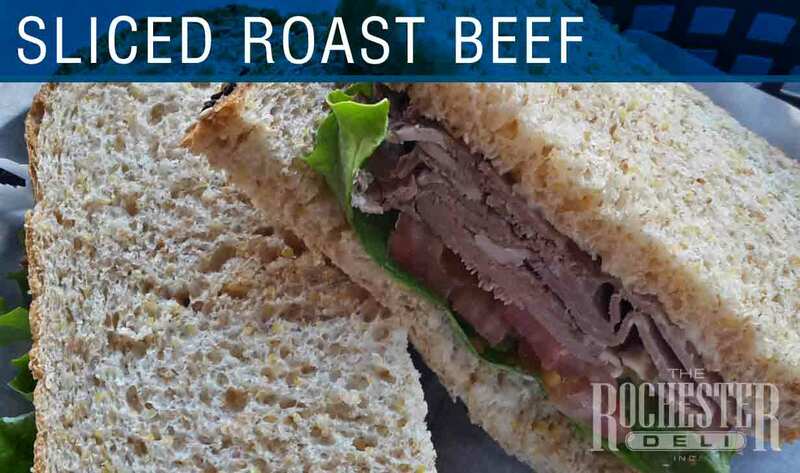 Served with horseradish sauce and dusseldorf mustard on Caraway Rye. 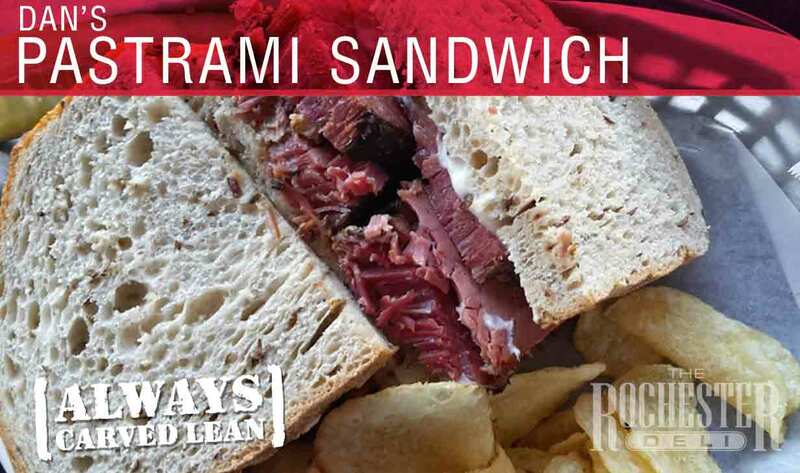 Dan’s Pastrami Sandwich is steamed, tender lean Pastrami, carved to order! 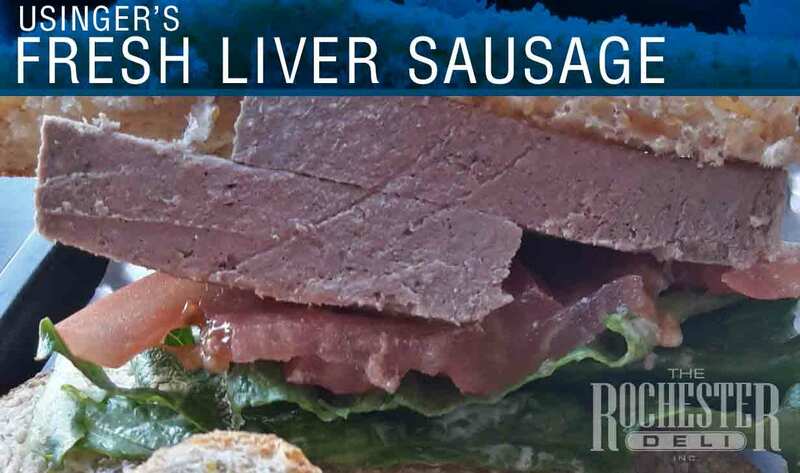 Served with horseradish sauce and dusseldorf mustard on Caraway Rye. 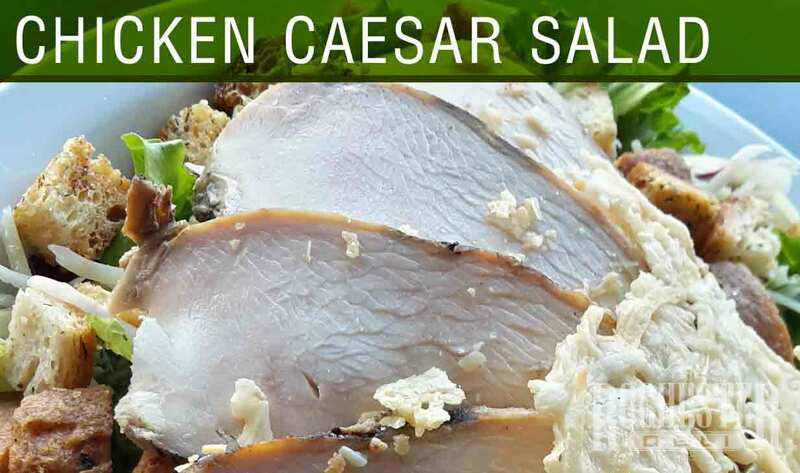 The Cobb Salad is Mixed Greens topped with diced Turkey, Tomato, Bacon, Scallions, Chopped Eggs, Gorgonzola Cheese, Avocado, Honey Cured Bacon and Blue Cheese Dressing on the side. 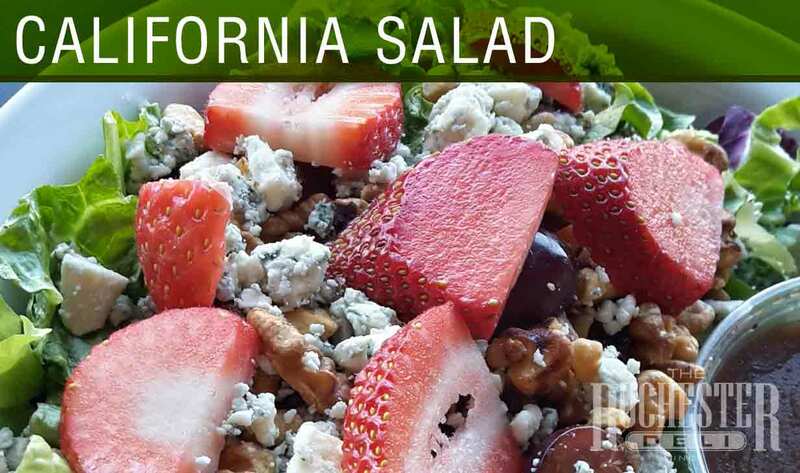 California Salad is comprised of a Bed of Greens, Slices of Strawberries, Candied Walnuts, Seedless Grapes and Gorgonzola Cheese with Poppyseed Vinaigrette on the side. 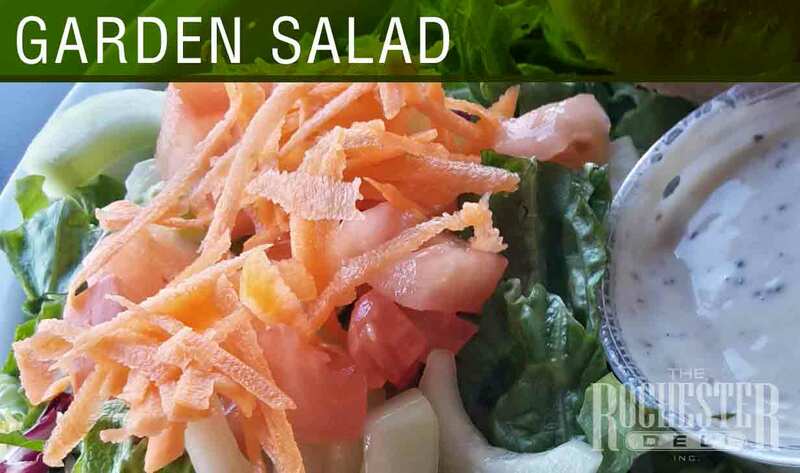 The Garden Salad consists of Mixed Greens, Tomatoes, Cucumbers, Sliced Carrots, Choice of Dressing on the side. 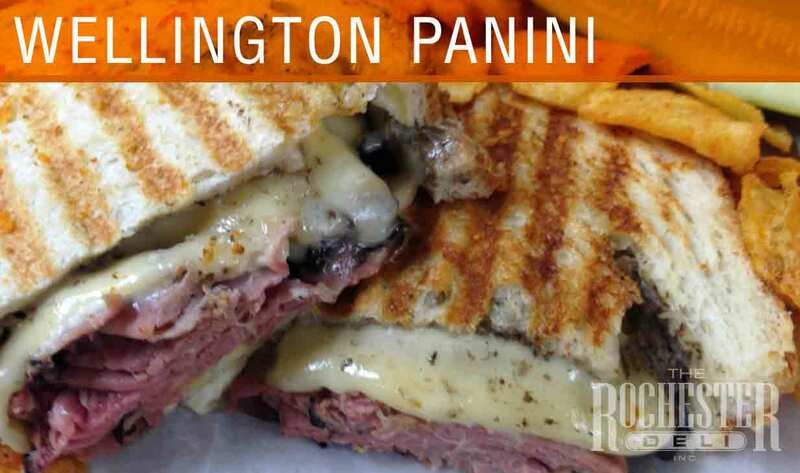 The Wellington Panini consists of Angus roast beef, Swiss Cheese, House-Made Mushroom Duxelle and Mild Horseradish Sauce grilled on Vienna bread. 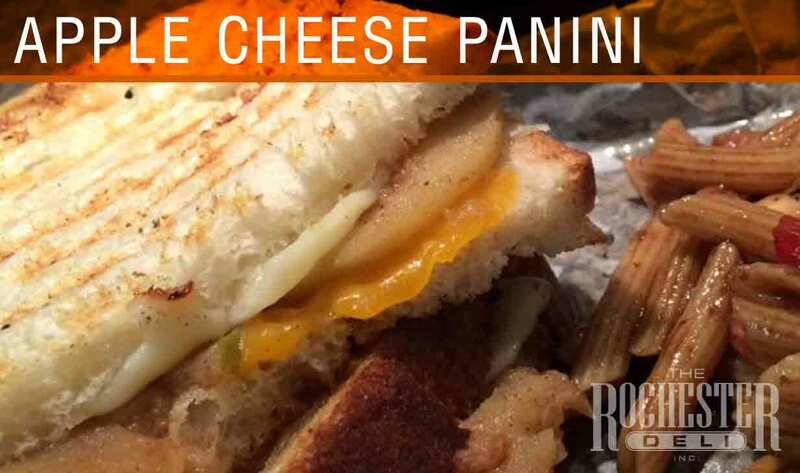 Our new Apple Cheese Panini consists of Sliced Granny Smith Apples sautéed in Cinnamon Butter, Cheddar Cheese and Provolone Grilled on Vienna bread. 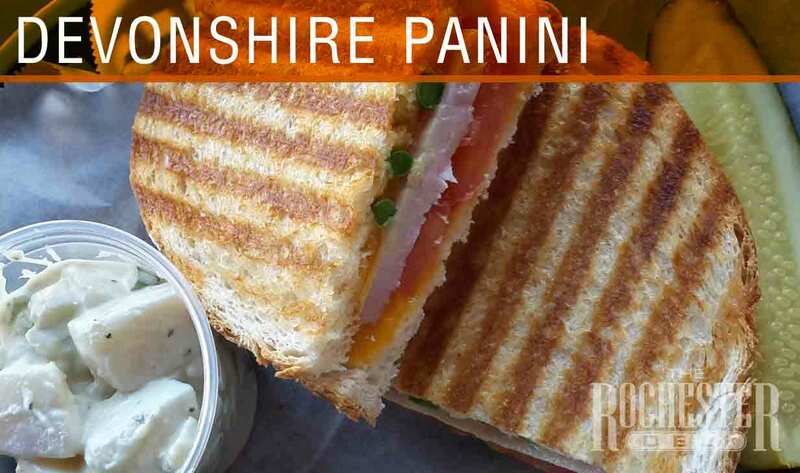 The Devonshire Panini consists of a Thick Slice of Tavern Ham, Tomato, Fresh Asparagus and Cheddar Cheese with Honey Mustard on grilled Vienna. 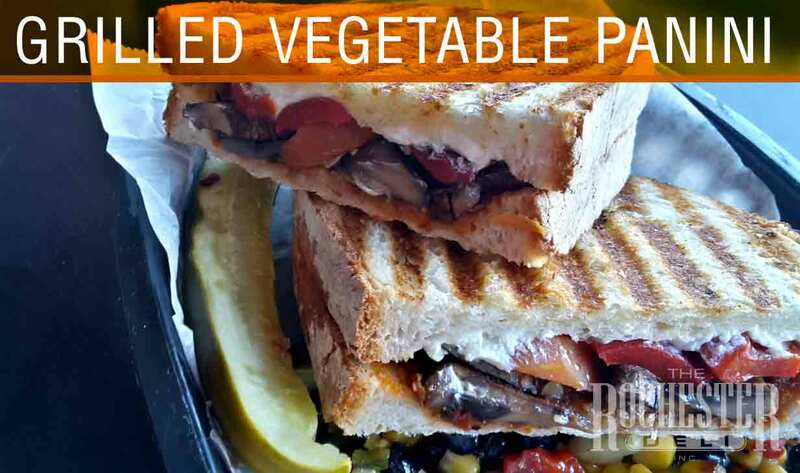 Our Grilled Vegetable Panini is loaded with Grilled sliced Zucchini, Red Onion, Sweet Bell Pepper, Carrot and Portabella Mushroom with Olive Relish and Montrachet Cheese on grilled Vienna. 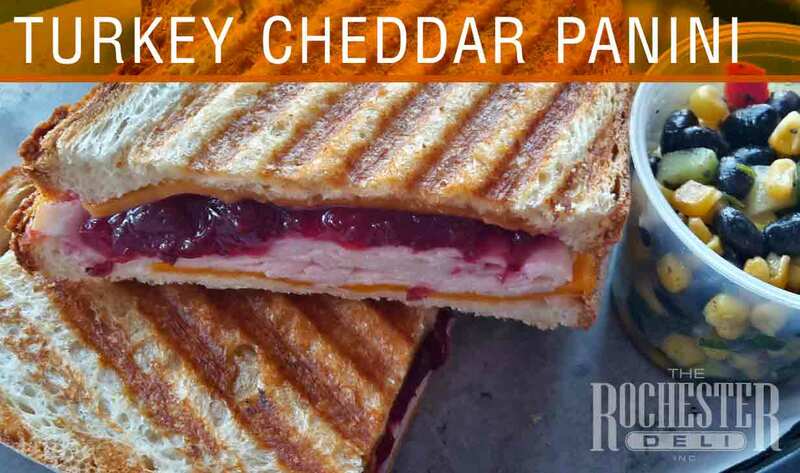 Turkey Cheddar Panini is made with our homemade cranberry relish, mayo grilled on Vienna. 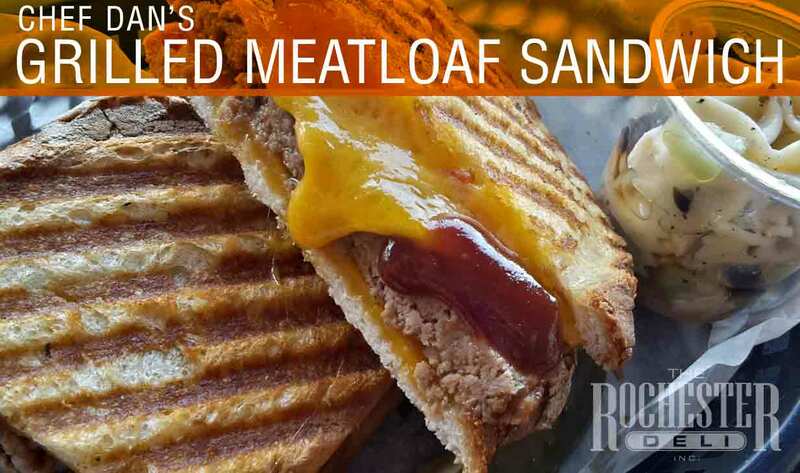 Chef Dan's delicious meatloaf with Honey Cured Bacon, Cheddar Cheese and Barbecue Sauce, or Provolone Cheese and Horseradish Sauce grilled on our Vienna Bread. 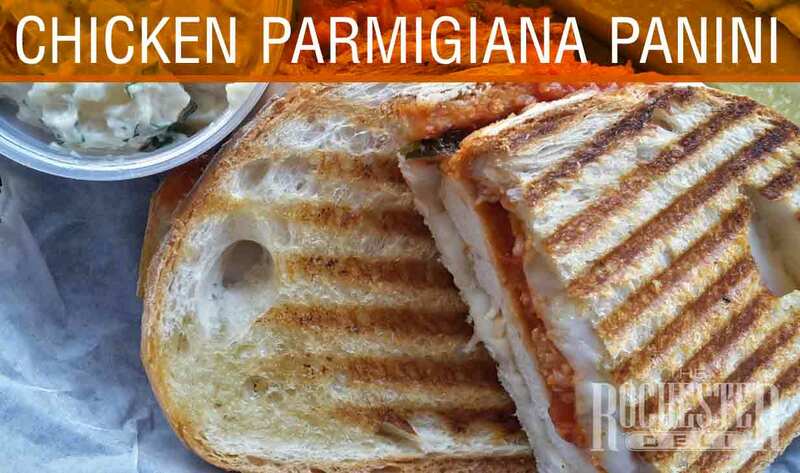 Chicken Parmigiana Panini: Egg breaded Chicken breast, mozzarella, parmesan and Dan’s homemade marinara sauce grilled on Vienna. 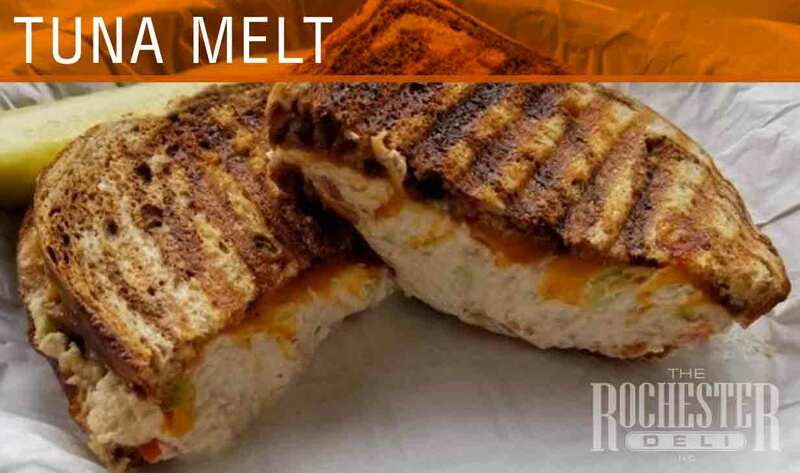 Tuna Melt is made with our premium white tuna salad, cheddar cheese and tomato grilled on Marble Rye. 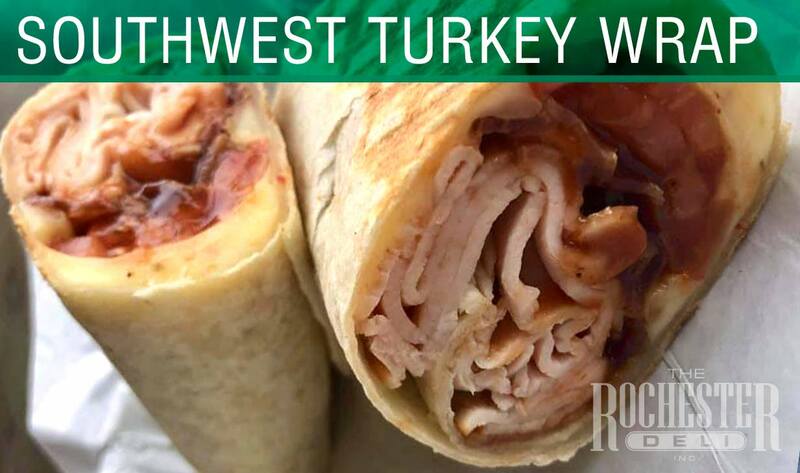 Our Southwest Turkey Wrap is packed with Turkey, bacon, pepper jack cheese, tomatoes and BBQ sauce grilled in a flour tortilla! 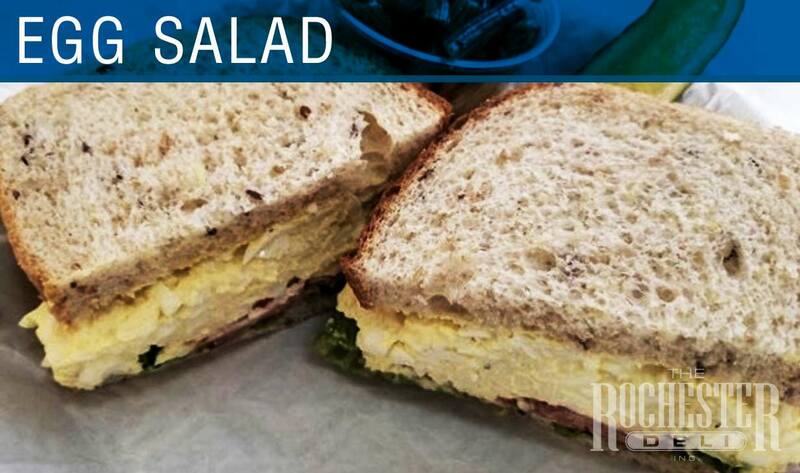 Served on multigrain bread with tomato, leaf lettuce and mayo. 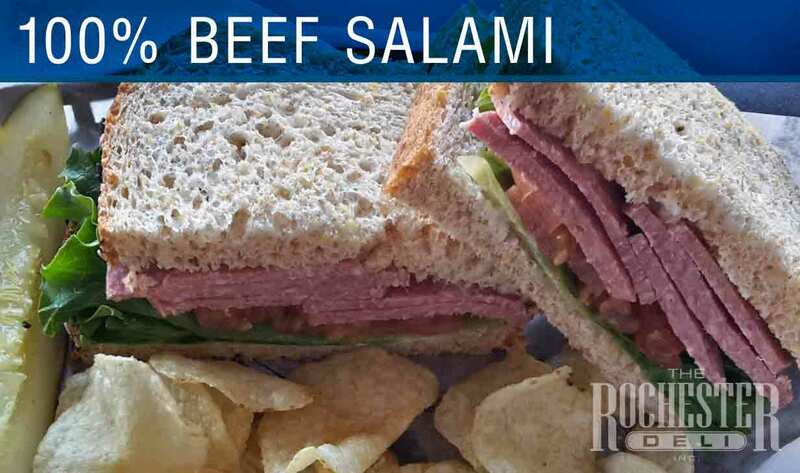 Our Deli meats, produce and cheese are sliced in house by our culinary team. 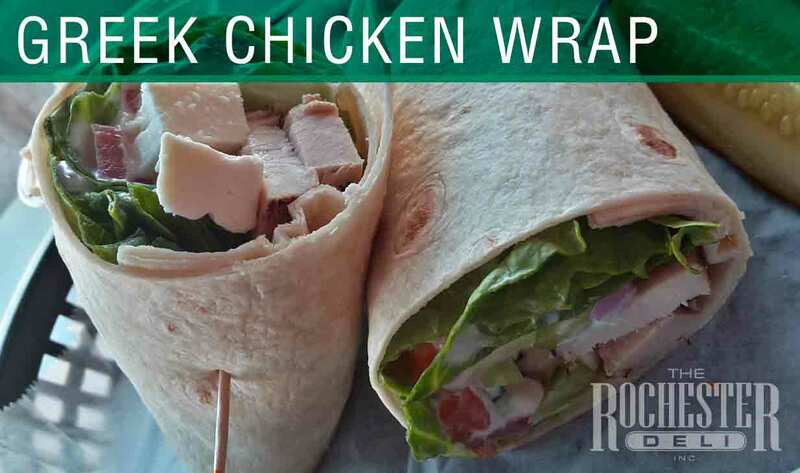 All Deli Sandwiches and Wraps include Deli chips or homemade Deli salad, and a dill pickle spear. 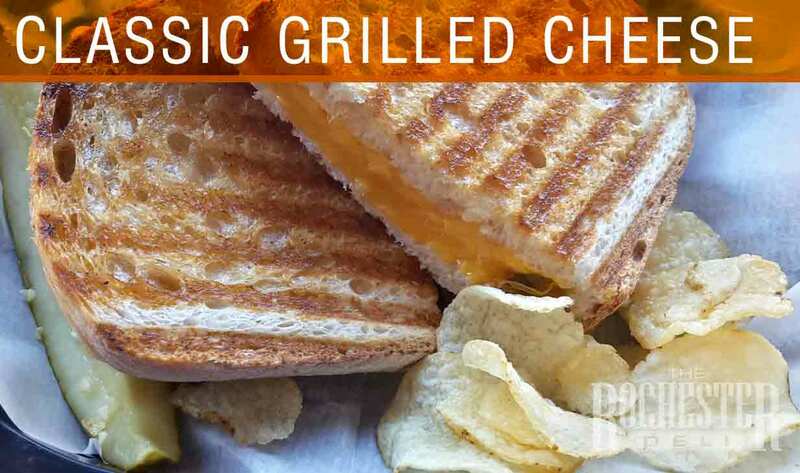 Sandwiches are prepared as described; Optional bread choices include: Multigrain, Vienna, Marble Rye, Caraway Rye, and Toasted Gluten Free ($1 upcharge). 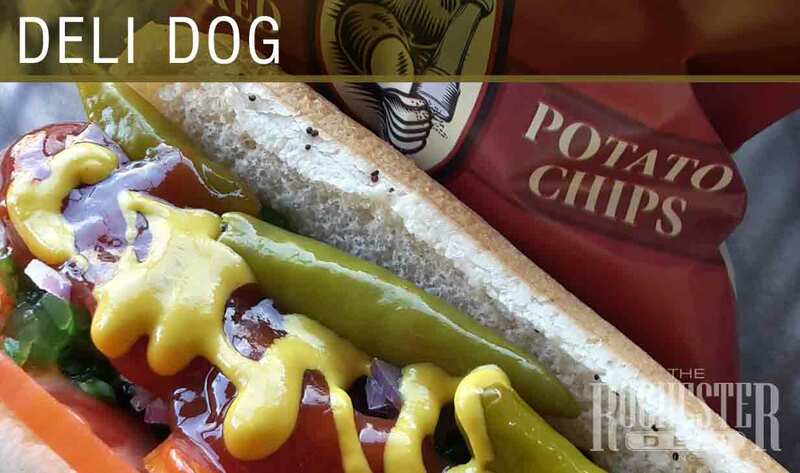 The Deli Dog is a Vienna All Beef Hot Dog, Steamed, then grilled ketchup, sliced tomatoes, onions, sport peppers, green relish, and yellow mustard on a poppyseed bun. 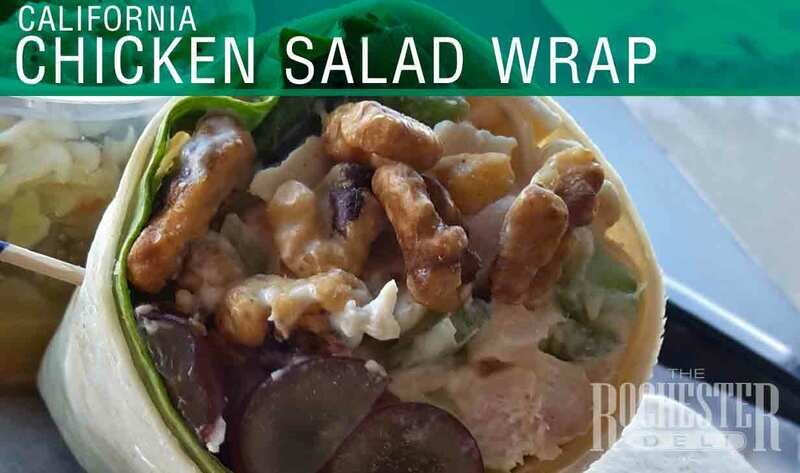 Includes deli salad or chips, and pickle spear. 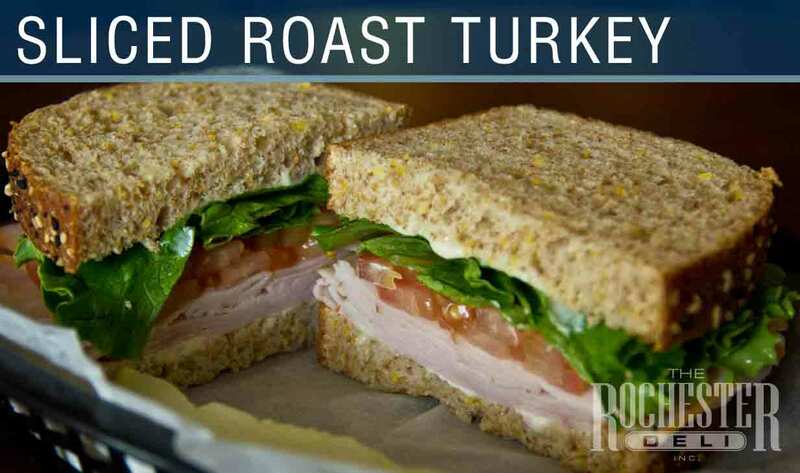 Our bread selections by the loaf, available daily. 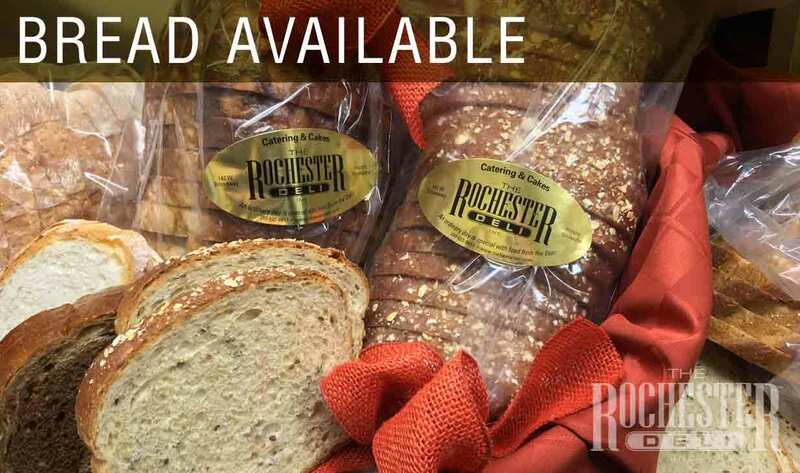 Choose from Caraway Rye, Marble Rye, multigrain or Vienna (Panini Style). 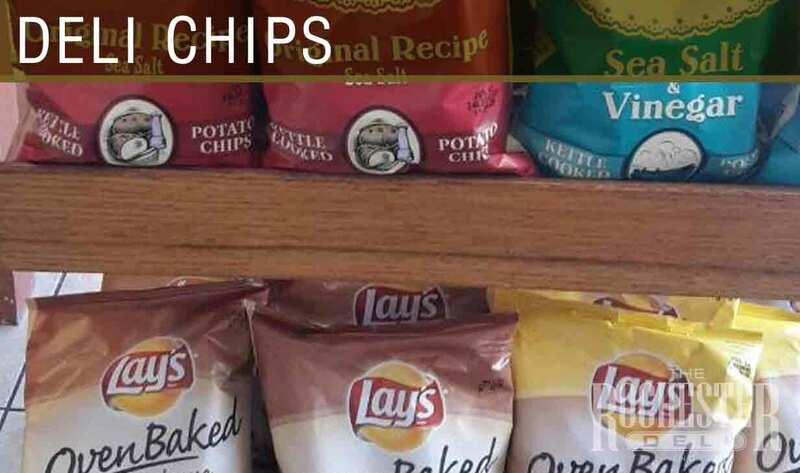 Selections and price vary. Premium bottled juices, lemonades, flavored sodas, teas, sparkling flavored water, Coke products, brewed iced tea, premium coffee, hot tea, 2% milk, chocolate milk, bottled water. 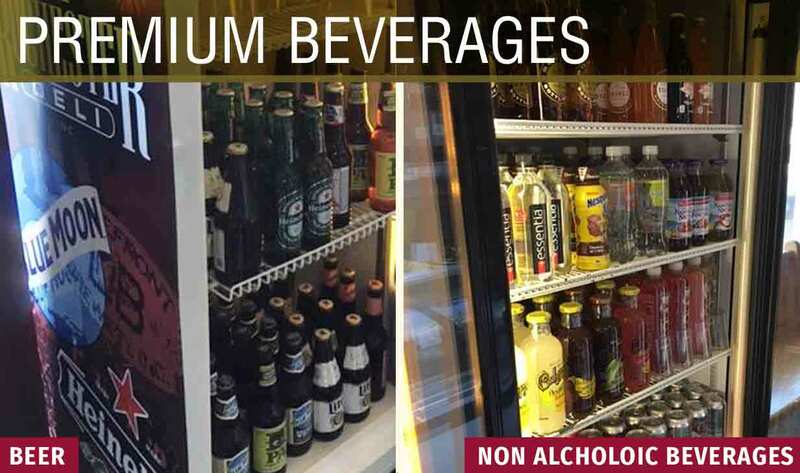 Premium Wines and Beer Also Available. 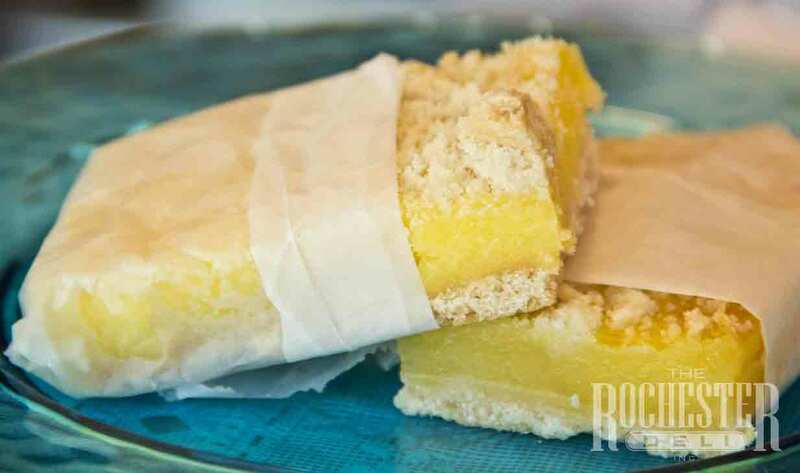 Our family recipes incorporate fresh, premium ingredients along with hard work and love to offer you the finest dessert selections. 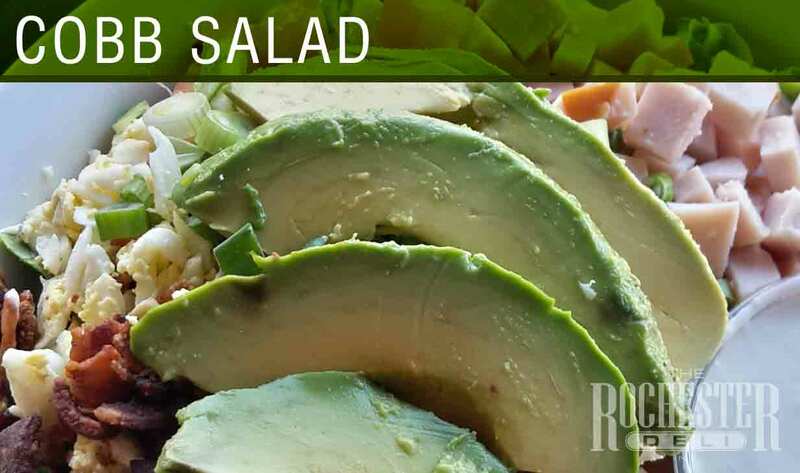 Selections may vary daily. Our dessert cases are filled with scratch made, tantalizing selections baked at our wholesale bakery Periwinkle’s Bakery on Broadway. 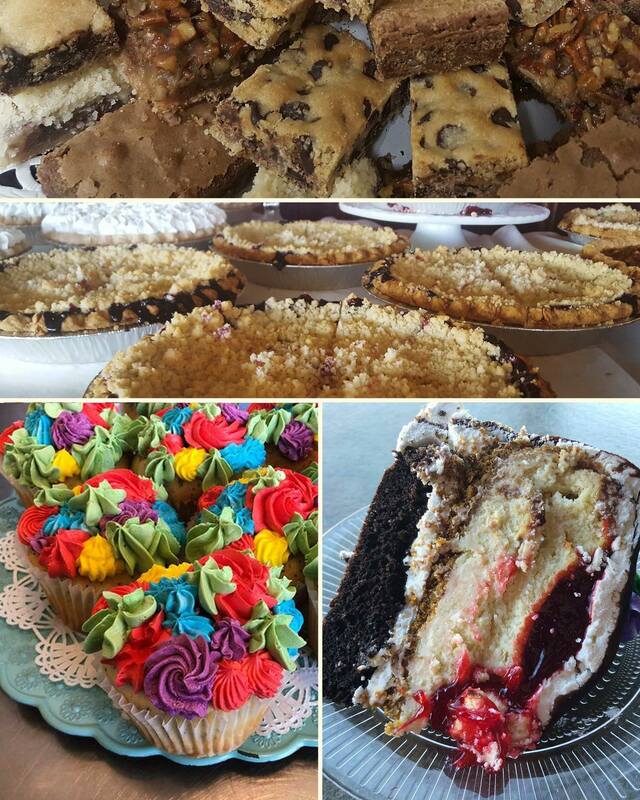 Some of our most popular sweet offerings include European style tortes, handmade crust Pies, chocolate dipped almond macaroons, peanut butter balls, pecan squares, lemon bars, chocolate dipped peanut butter cookies, turtle bars and so much more! 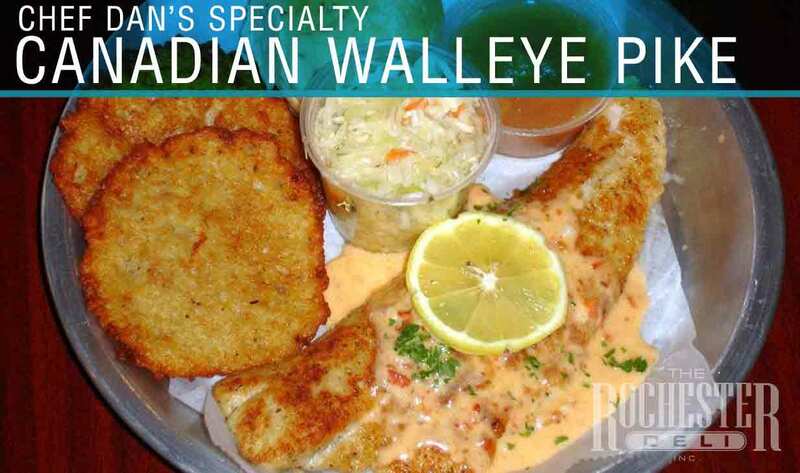 Our popular Friday Fish Dinners are available for Dine in, or Carryout (at no extra charge). 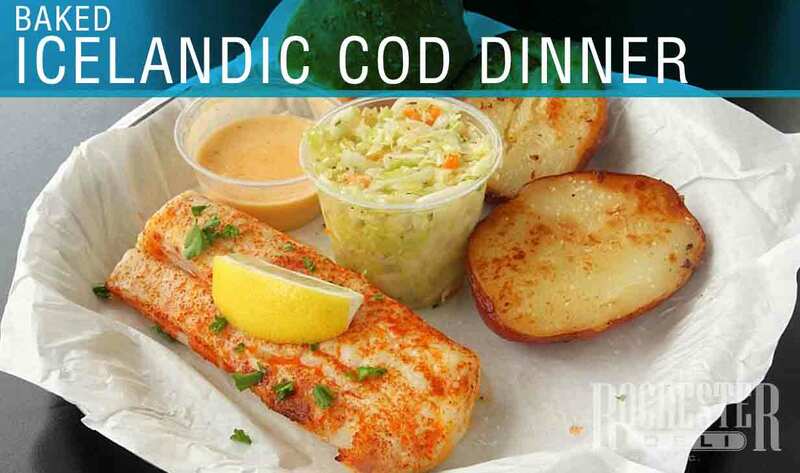 Every Fish Dinner is prepared by hand and cooked to order, please allow for adequate preparation. 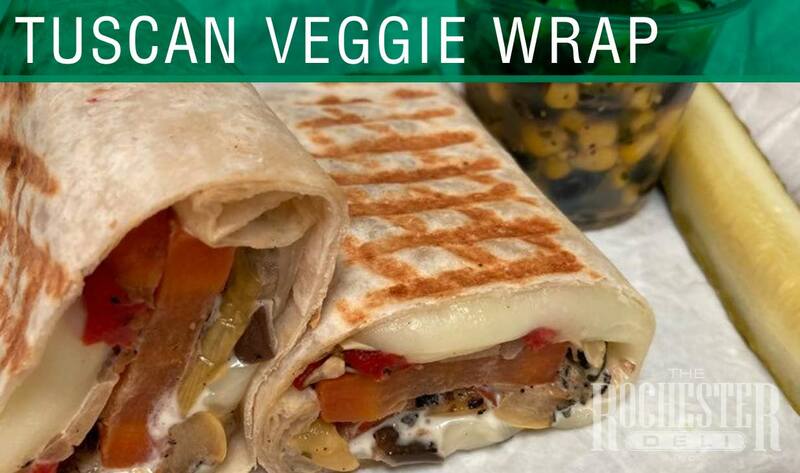 Orders can be called in, or placed online for added convenience and shorter wait time. We only purchase sustainable, wild caught fish (never farm raised). Every filet is hand cut by our culinary team. 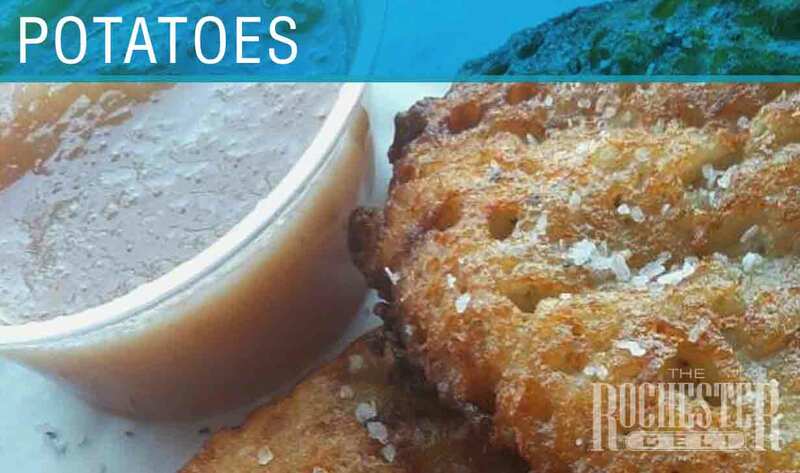 Chef Dan’s famous potato pancakes are made from scratch with real potatoes, onion, egg, flour and seasonings. 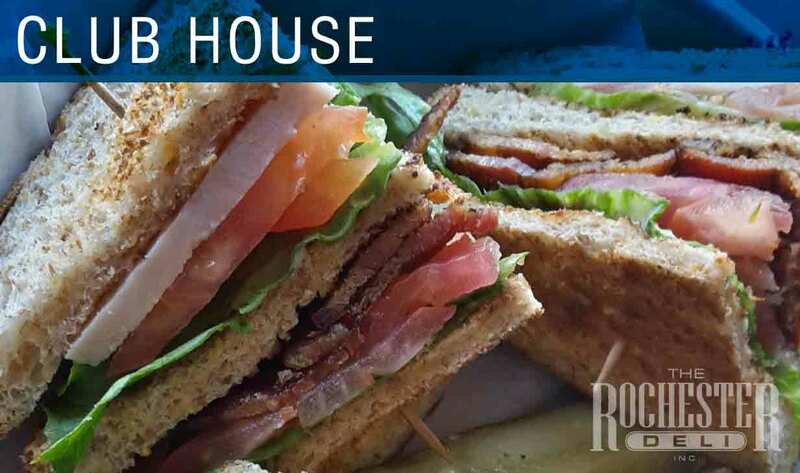 Our rye rolls are lightly sprinkled in sea salt and baked in house. Served all day! 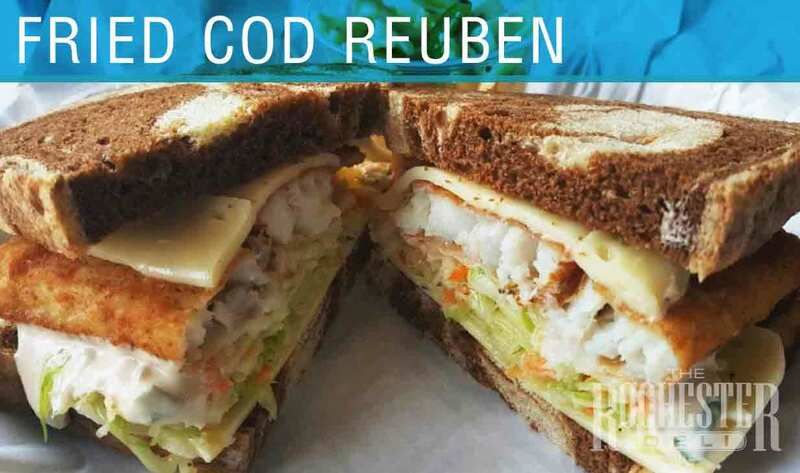 Italian breaded fried Cod, cheddar, leaf lettuce and tartar sauce on caraway rye. 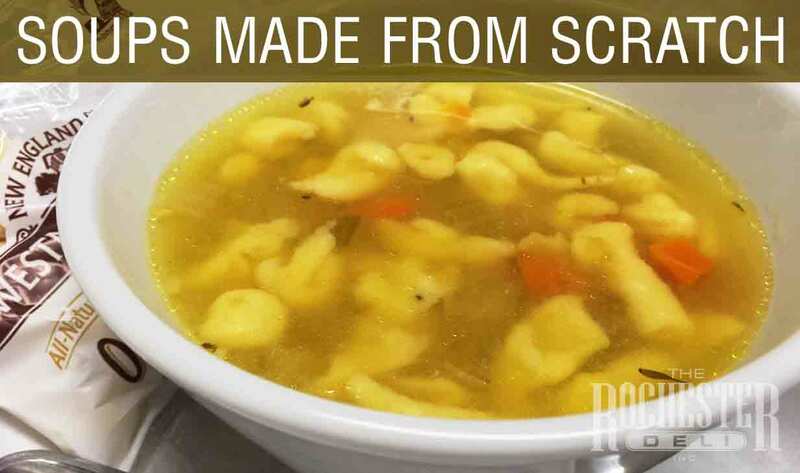 Served 4pm - close. Pan fried and finished with our famous sun dried tomato beurre blanc sauce. 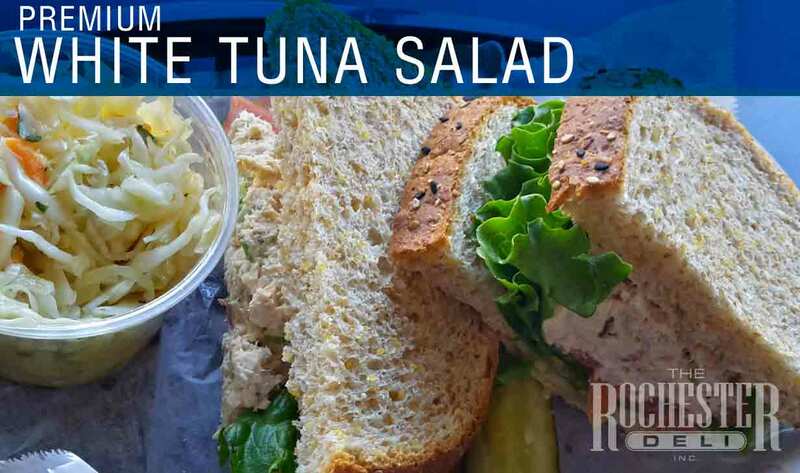 Served with choice of potato, homemade vinaigrette coleslaw, rye roll, and butter. 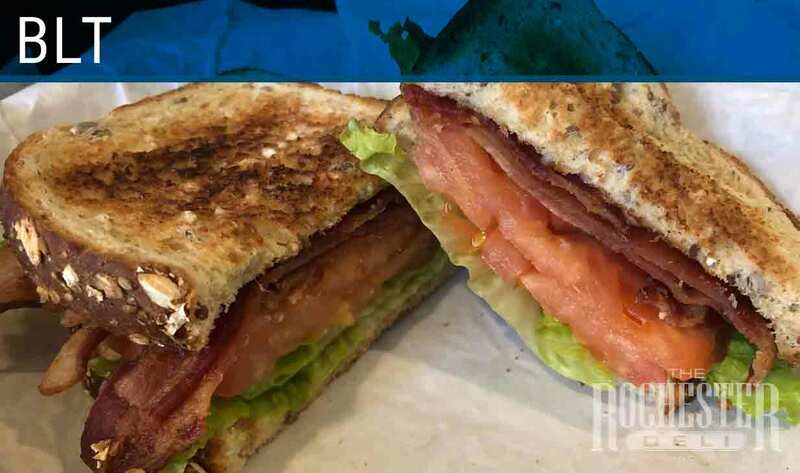 Served 10am - close. 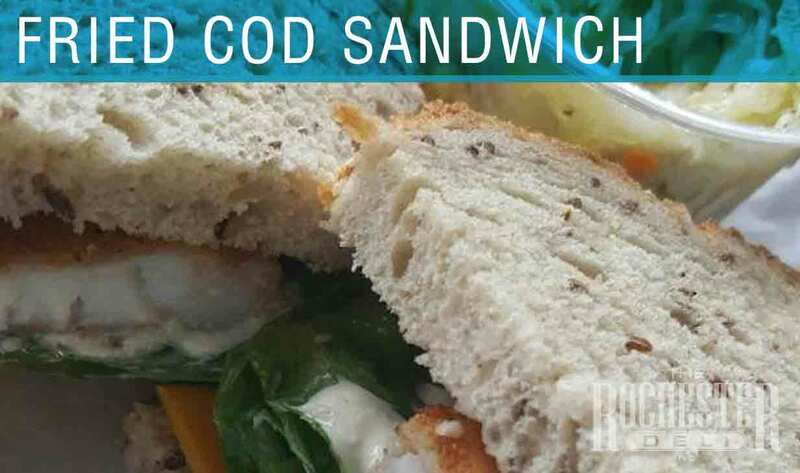 We hand cut, hand bread our fried Icelandic Cod. 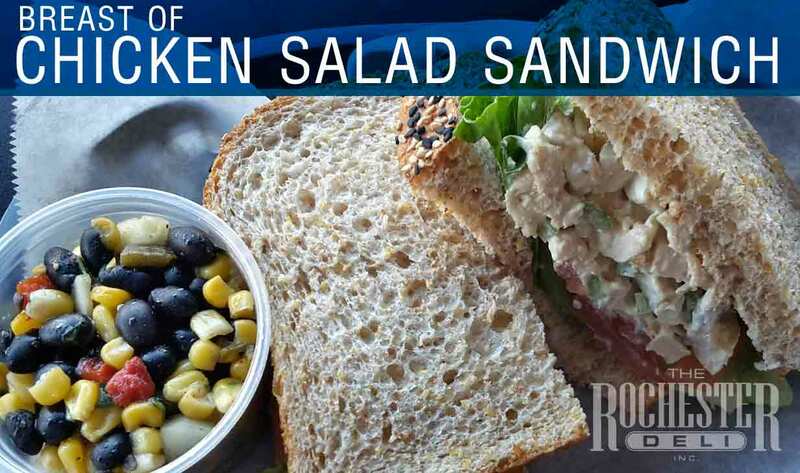 Served with choice of potato, homemade vinaigrette coleslaw, rye roll, butter and tartar sauce. 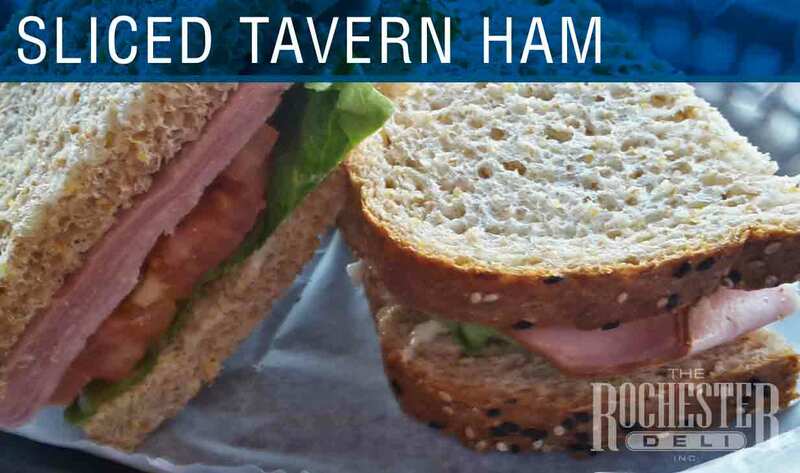 Served 4pm - close. 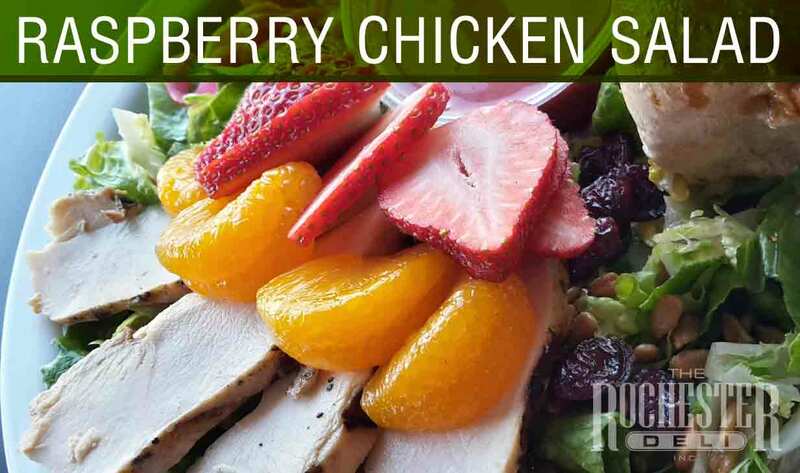 Seasoned with paprika, lemon and butter with our famous sun dried tomato beurre blanc sauce on the side. 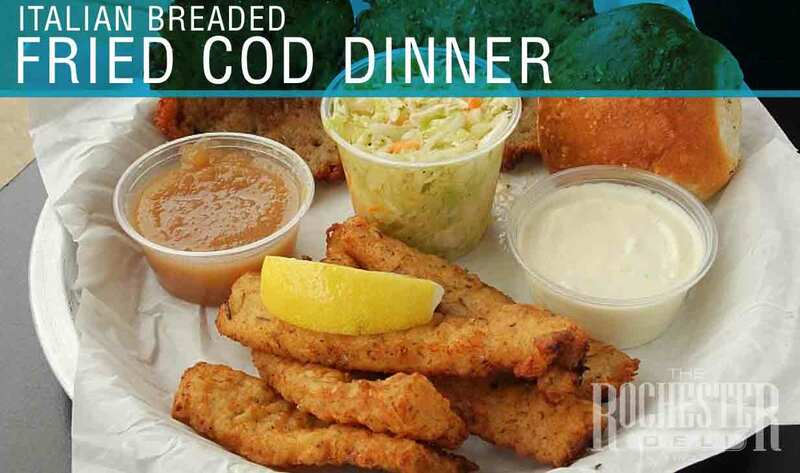 Served with choice of potato, homemade vinaigrette coleslaw, rye roll, and butter..
Cottage fries, or homemade potato pancakes with applesauce. Oven browned seasoned redskin potatoes, or homemade potato pancakes with applesauce.